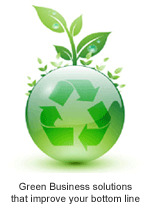 Document imaging services is a green business solution that offers far more than the title suggests. It is often the first step for electronic content management (ECM)—a process that provides centralized, online document and records management for faster, 24/7 retrieval and archiving. Not only does this step reduce the man-hours and costs required to manage paper documents, it enhances document and data security. TriShulla offers you a full range of imaging and data entry services and conversion of that data into multiple formats for fast and easy database retrieval. Enjoy the convenience and speed of having documents, pictures and records on your computer screen in seconds. Our easy-to-use storage and sharing electronic database with 24/7 access has encrypted login protection and offers the advantage of tighter security since documents don’t pass hand to hand to reach the recipient. Your company's subscribers register online to gain access and we can customize programs for various departments within your organization. To insure the highest document security, simply request pick-up of documents or utilize a TriShulla proprietary Scan-on-Demand process to upload digital copies of records from our records center facilities. Our security measures are in accordance with federal, state and local laws governing business information. Our high-speed data entry, indexing and scanning capabilities are the small steps to creating a larger picture-- document management software designed to help you automate tasks and manage work flow in an organization. Whether you’re a government agency in need of databasing certifications for fast access or a law firm requiring a process to get signatures on documentation, we can build the software database that works the way you work. And we can do it at a very competitive price and get it working quickly so you can start to realize a return on your technology investment. Best of all, it will work and is scalable. This is a document management solution that provides smart business results. TriShulla is fully prepared to handle imaging of an entire library of documents. We can easily scan oversized documents such as engineering and architectural drawings and digitally scan forms, applications, maps, rare books, bound documents, invoices, receipts, bills and much more. All scanned documents can be integrated into a searchable document format. Even documents in poor condition can be cleaned up and restored into readable electronic documents. To give you an idea of the benefit of our indexing capability, we’ll quantify it by telling you we index at the rate of one million keystrokes per day. That alone can save you money based on what you’d pay for the equivalent man-hours at your place of business. Our capabilities range from single-page processing with manual data entry to high-speed OCR/ICR form processing.